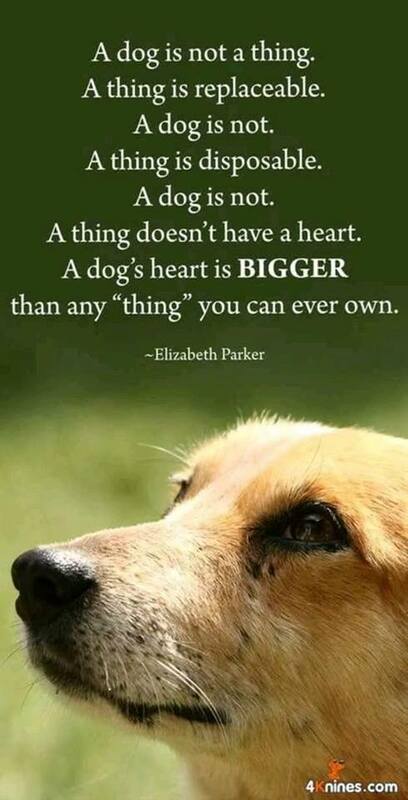 We Mean, Really, Honestly, Undoubtedly and Unconditionally – Ready for a Dog? Really…it’s an endless list. Having a dog is awesome! Poop – inside or out! And, unfortunately…this list can go on and on too! And this list of things, is what often causes people to give up on dogs that they have intended to love forever. If you have scrolled through Facebook, you’ve seen memes with the theme of “getting a dog is a forever commitment”. While scrolling, we all say “duh, of course” as we grew up with those values. If you have been through screening for a dog or cat adoption, you’ve likely been asked if you’ve given up a pet before. Maybe you felt insulted at the question – and we get it. But, pets are given up on all the time, and this is why there is a need for rescue organizations. You and a new dog will go through growing pains together. You will need to be consistent and fair (this means no dogs on the couch). You need to be predictable. You will need to google, and read, and talk to friends, and practice, and invest in a trainer. Your dog may pee in the house. He may spill your drink or swipe your burger. She may eat your shoes, or howl when you leave her. Each of these things is about communication, and YOU will need to change your game to help bridge the gap. Learning to communicate with your dog will make your canine companion so much happier. 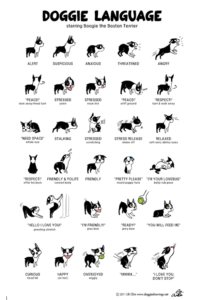 While dogs can’t talk, they do communicate with us in so many ways. We know and love all the happy “words” – a wagging tail, or a happy walk. We do all the right things to elicit those positive responses from our dog. We know that if we say “peanut butter” or “want to go for a walk” that our dog will communicate their agreement. And, the inverse is also true, and a dog will tell you when they are worried, or scared, or bored, or sick: it is our job as people to learn to “listen” and understand a dogs needs or behaviour. For example, does a dog bark when people come over to the family home? Mine does (terrible, I know). You need to determine what the dog is trying to tell you. Are they nervous, are they shy, do they feel threatened and want to advance, are they just fools who get excited about visitors? It is your responsibility to understand the behaviour and put measures in place to help your dog cope, especially when the behaviour does not align with your lifestyle. This is comparable to reasons a baby may cry – hungry, sick, tired, uncomfortable. We learn that a cry or a bark will mean different things, and it is our responsibility to help the situation. Will I invest in training? Once? On-going? Am I willing to take on a new “project”? Will I do everything I possibly can to make this dogs life better than it was before? Will the kids really do the associated chores? If they don’t, will I? How will I handle muddy footprints in the house? Will I love this dog, for better or for worse? If you are still game, we are excited! We want to help you find your canine soul mate. All we ask is that you will truly commit to your pup to build the relationship you both truly deserve.